Actual name of the cinder cone is not clearly known. It is reported that an old map hung on the wall that included the pu‘u and a name. The name was crossed out and “hewa” was hand written. Hewa means wrong, mistake or error, suggesting the crossed out name was incorrect. However, the correct name was not added in its place. 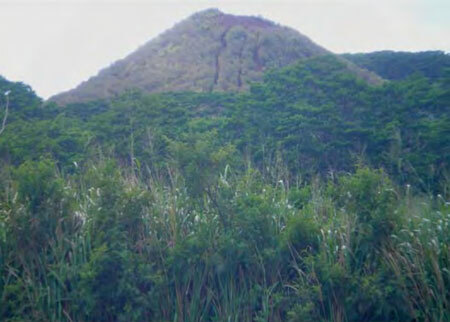 As time went on, the cinder cone was referred to as Pu‘u o Hewa; the name has stuck, and the true name of the pu‘u remains a mystery.